What a beautiful sunny yellow! nwframeofmind, thank you very much. It is a beautiful flower. 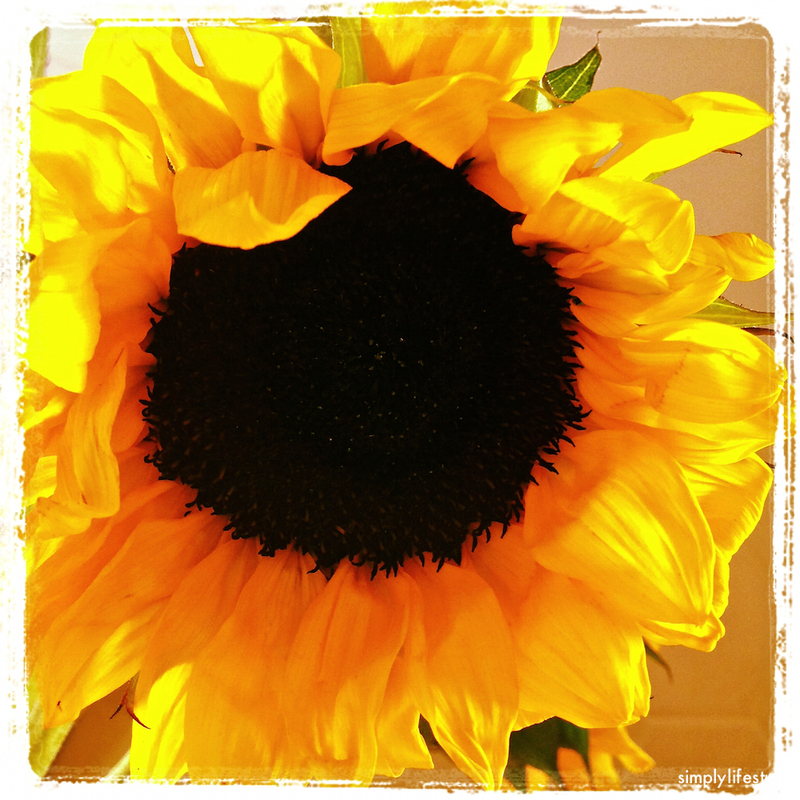 Great entry–the bold and sassy sunflower. Happy iPhoneography Monday. Sally, thank you very much. Happy iphoneOgraphy Monday to you! This is a beautiful shot, Melanee. Love how the bright, sunshine yellow brings a smile to everyone who sees it. Gracie, thank you so very much for the beautiful comment. Stunning color. I’m smiling away as I write this. Allan, thank you very much. Glad it made you smile! This is lovely! I think I need a backyard full of them. Thank you for your kind comment. A backyard full of these would be quite wonderful.